In a conversation with Kate Douglas, an Associate Professor at Flinders University of South Australia and member of the IABA Executive Group, we discuss Locating Lives: The Inaugural Conference for the IABA Asia-Pacific Chapter. We recently got the chance to ask Kate about the conference, the new Asia-Pacific Chapter, and what she’s been reading! SNS Network: Flinders University is a hub of auto/biography scholarship—can you tell us a little bit about some of the activities that the Flinders Life Narrative Research Group has organised, and any upcoming events? Kate Douglas: The research group grew because we had strong scholars to build it around. Kylie Cardell and I were very fortunate to have a wonderful group of postgraduates (including Emma Maguire and Pamela Graham) who were keen to engage in research and professional activities with us, and also strongly support the teaching of life writing at Flinders. So, we’ve held events (for example, the “Telling Tales: Autobiographies of Childhood and Youth” symposium in 2012) and worked on publications (including a special issue of Prose Studies and an edited collection for Routledge) and the field of study goes from strength to strength which is super exciting for us. SNS Network: You’ve recently been busy forming the IABA Asia-Pacific Chapter and organising the chapter’s inaugural conference. How did this come about? Kate Douglas: My colleagues (Anna Poletti and Kylie Cardell) and our postgraduates from the Life Narrative Research Group have been talking for a while about this. We’ve been inspired by the excellent work achieved by the Europe and Americas chapters—particularly their success in reaching out to scholars in these regions who might not have previously engaged with IABA. We began by consulting scholars from our region who had attended IABA conferences to see what they thought about a regional chapter. Everyone I spoke to was very positive about the idea. So, after much emailing and chatting, Anna and I raised the possibility of an Asia-Pacific chapter of IABA at the IABA AGM in Banff, 2014. After much discussion we received the go ahead to plan the inaugural IABA Asia-Pacific conference which will launch the new chapter. SNS Network: Would you be able to talk a bit about the difficulties you faced when you were tasked with defining (and naming) the specific region? Kate Douglas: We grappled with this name because we wanted it to be as inclusive and welcoming as possible. But we also knew that it would be impossible to find a name that resonated strongly with all parts of the region. We chose “Asia-Pacific” because we are aware that it is a term used in some geographic/political contexts as well as academic ones and it did describe the region we wanted to consider. We acknowledge that this term may come with complexities, but, for now, we think this is a solid descriptor that should work for us. 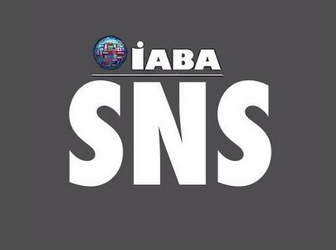 SNS Network: Why is it important to form the Asia-Pacific chapter of the IABA? And why now? Kate Douglas:We believe that there are many significant issues to be addressed in this region (for instance, a particularly pertinent one right now is asylum seeking and traumatic displacement) and we hope that our conference is able to showcase the cultural work that life narrative scholars in our region are doing in relation to key issues and texts of the moment. SNS Network: What are the biggest challenges for life narrative scholars in the Asia-Pacific region, do you think? Kate Douglas:We are geographically a bit isolated when it comes to attending big association-type conferences which are so often held in the US/Canada and Europe. Conference funding is often very limited, even non-existent in some countries. So, there are real geographical and financial/resource restrictions for scholars in this region. Being able to host major conferences in Australia is important, but, our larger intent here is to hand over the conference baton to another university in a different country in this region for IABA Asia-Pacific 2017. In assembling the programme we have noticed particular themes of interest to scholars in this region including the centrality of Indigeneity; geographical identity groupings and identity crises; region-specific discussions about migration; refugees and asylum seeking; and a particular focus on authors and texts from the Asia-Pacific region. We are so excited to hear these papers and join the conversation. It’s going to be a very engaging event—but more significantly, a much-needed event filled with potentially urgent conversations. SNS Network: What can participants look forward to at the conference, the theme of which is Locating Lives? Kate Douglas:Our aim has always been to reach delegates from across the region, including those who have never attended an IABA conference before. Although the majority of our presenters are from Australia we have presenters from India, Japan, Korea, Singapore, Malaysia, China, Hawai’i and New Zealand. We will see a good representation of well-established and emerging scholars. We will have a strong mix of interdisciplinary papers and contributions from creative practitioners and scholars interests in talking about methodologies for life narrative studies. Our keynote speakers are leading life writing scholars: Professor Gillian Whitlock (The University of Queensland) and Professor Craig Howes (The University of Hawai’i). We will also welcome award winning author Benjamin Law whose memoir The Family Law has been adapted for television and will be soon be showed on the ABC. SNS Network: How is the conference fostering graduate student participation? Will there be space for discussion regarding student concerns about professionalization, publications, and the job market? Kate Douglas: Yes most definitely. We are holding a workshop for Postgraduate and Early Career Researchers to open the conference, which will be tailored to the specific interests of the participants. The facilitators of the event will be Dr Kylie Cardell (Flinders), myself, Professor Craig Howes (Hawai’i) and Professor Gillian Whitlock (UQ). SNS Network: How is the conference addressing issues of indigeneity? Kate Douglas:We expect to have several papers that will address indigeneity explicitly. As previously mentioned we have scholars from across the region so ‘indigeneity’ means a plethora of diverse racial, cultural and historical identities. Some of the issues that we expect to be addresses include: postcoloniality, traumatic displacement/dislocation, family and kinship, place, and language. We hope to discuss these issues as a collective and discuss and shape conversations around what is particular about this region and what dialogues about indigeneity might be particularly important at this moment. SNS Network: We’d also like to hear a bit about your research: you have an interest in childhood and youth in autobiography, as well as social justice and life narrative. Why are these issues important to you? Why are they significant in the broader field of autobiography and literary studies? Kate Douglas: I’ve been working on life narratives of childhood for over ten years now and always considered childhood and youth as central to life storytelling- not just because everyone has a childhood, but in recognition of the plurality of childhoods across cultures, time, space and experience. There are a lot of dominant, master narratives about childhood. But I’ve always been more interested in the new and marginal voices sharing stories and experiences outside of the master narratives. My interest in social justice narratives intersects with this because so many narratives of childhood are about trauma or social suffering. I think life narratives of childhood continue to do important social work around childhood and the ways in which it is experiences and represented. SNS Network: What are you working on at the moment? Kate Douglas:Anna Poletti and I are working on a book about young writers and life narrative for Palgrave’s childhood and youth book series. We are very excited about the case studies we are working through and hope that this book can make a significant contribution to the field. My next big project after this will be a collaborative project with Kylie Cardell and Dr Claire Lynch (Brunel, UK) on the ways in which life narrative texts (across genres and forms) creative archives of childhood. I’m keen to continue my work on the inevitable intersections between life storytelling and discourses and representations of childhood. SNS Network: What life narrative texts are you excited about at the moment? Kate Douglas:I recently read Lena Dunham’s Not That Kind of Girl, which I loved. Dunham tells stories with ease but these vignettes are intelligent and provocative. I am currently re-reading Raimond Gaita’s Romulus, My Father for teaching and finding myself again absorbed by Gaita’s rich reflections on morality, love and family. Perhaps my favourite memoir that I read this year was Cheryl Strayed’s Wild. She’s a wonderful writer, an incredibly thoughtful feminist, and a significant advocate for non fiction. As for scholarly texts: I’m currently deeply engaged with Kylie Cardell’s Dear World: Contemporary Uses of the Diary and Gillian Whitlock’s Postcolonial Life Narratives: Testimonial Transactions. Two of my favourite people and scholars and its exciting to be able to spend time thinking about their work with the possibility of conversation to further extend these reflections [at the conference]. I’m also reading a plethora of scholarly articles about childhood and youth as Anna and I put the finishing touches on our book. It’s exciting to work at the interstices of life narrative and childhood/youth studies as we see important work to be done here. For more information about Locating Lives please head to the conference website, Facebook page, and search social media with the hashtag #IABA2015. Kate Douglas came to Flinders in 2004 after graduating with a Ph.D. from the University of Queensland. Her primary interests are in Life Narrative studies: the ways in which people tell stories about their lives and the lives of others and the technologies they use to record these life stories. She is the author of Contesting Childhood: Autobiography, Trauma and Memory (Rutgers) and co-editor (with Gillian Whitlock) of Trauma Texts (Routledge). Kate’s research considers the social work of life writing – how stories engage with the politics of the moment and promote social change. She is currently working with Anna Poletti on a book project that considers how young writers have shaped life narrative. Kate is a strong advocate of research-led teaching and teaching-led research, and is currently engaged in an OLT-funded project titled “Building Reading Resilience: Developing a Skill-Based Approach to Literary Studies” (with Tully Barnett, Rosanne Kennedy, Anna Poletti and Jude Seaboyer).